What to write about Aquaman… what to write? How best to sum up a movie (and there is so, so much movie here) that is this utterly and absolutely mad? Perhaps it is most appropriate to start with the film’s redeeming features. Reprising his role as the hero of the sea, Momoa is charming, charismatic and funny. He is more than able to carry this origin story (plus, who can flip wet hair like him?) and never far from the screen. Sadly, his talents are largely wasted as James Wan’s film focuses on one exposition heavy sequence of bonkers bashy smashy after another. Nothing makes any sense, nothing feels of any consequence. You know exactly how this movie - part Little Mermaid, part Moana, part Splash, part every other action blockbuster that ever existed - will end from the story’s opening scenes. That in itself is not a real issue - plenty of comic book action films follow a well trodden path. 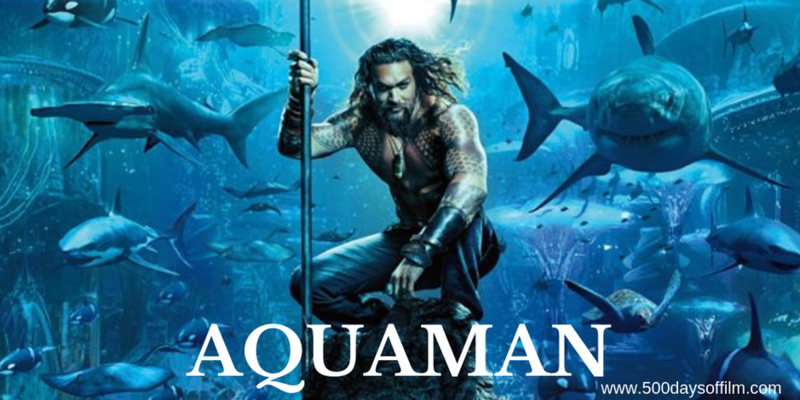 However, Aquaman is such an over the top mess that its predictability begins to frustrate early on - and this is a very (such a very, very) long film. It feels even longer than its two hours and 23 minute running time. To be fair, you do get the sense that the film welcomes its own ludicrousness (how could it not?) and that is very much to its (and, let’s be frank, Willem Dafoe’s) credit. However, Aquaman does not manage its tonal changes well. For example, we go from one sequence of intolerable destruction (haven’t we moved on from this?) to a moment of ridiculous comedy. The juxtaposition doesn’t work. The trouble is that Aquaman just isn’t anywhere near as much fun as it needs to be. The visuals are spectacular and the imagination on display is impressive, but the story and CGI fight scenes (one reminded me of the old Power Rangers series of all things) feel tired and, by the end of Aquaman, so was I. If you have, what did you think of this movie? Let me know in the contents section below or over on Twitter. You can find me @500DaysOfFilm. Brilliant . Now that I have had my eye fixed I can see all the colours.